Something has gone wrong. Try again. Robot applications for a total solution! Spot repair in the perfect circumstances! 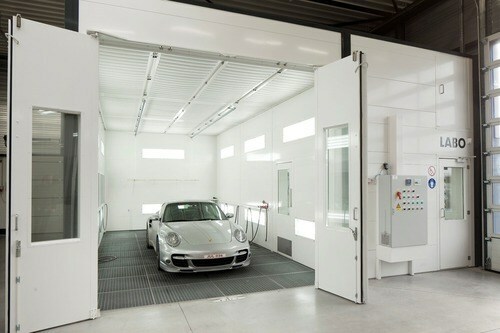 Sima designs painting installations automated or not for the automotive and aviation industry. 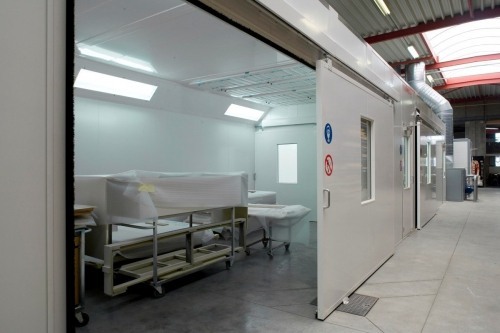 For larger productions, Sima designs, depending on the building and customer needs, paint and drying booths with manual monorail, semi-automatic or fully automated which are necessary for this type of installation. 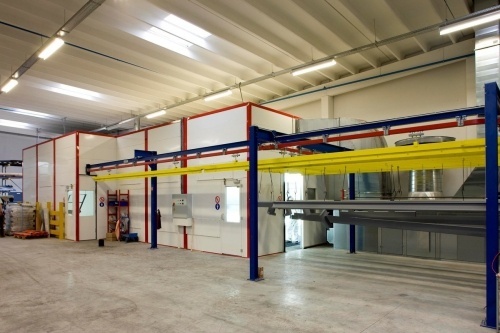 Paint booths for heavy weight and large elements are designed and manufactured to meet the needs of their specific applications: recreation, agriculture, large industrial machinery and transportation. Sima offers solutions for wet and dry filtration for the industry (parts or metal structures, plastic and wood parts, ...). 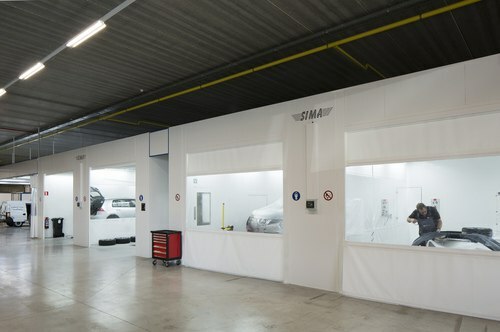 Sima has many years of experience in the area of bodywork and is therefore an outstanding consultant on the design of bodywork and repair garages. Sima offers tailor made solutions for the application of paint , varnish with dry filtration and various options for the wood and furniture industry. 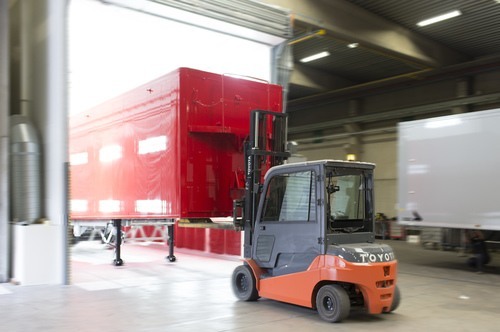 Painting robots offer turnkey solutions for industrial automatic painting. They assure an advanced technology that works with perfect precision and in an automatic operation. 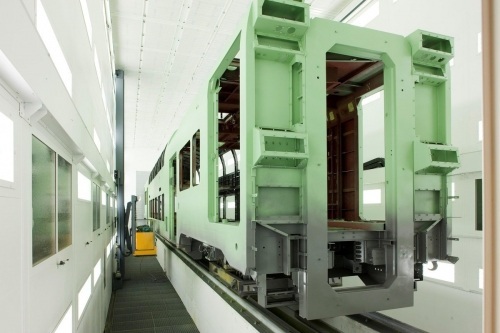 Sima guides the customer in this decision and offers a complete turnkey installation. 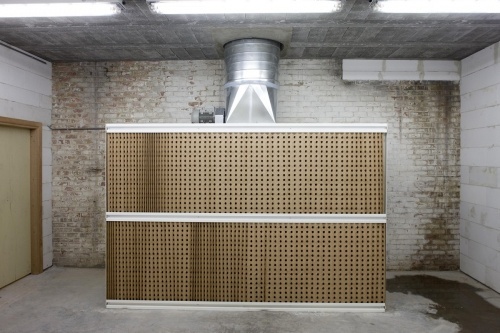 Paint booths JUPITER by SIMA are characterized by a very rigid frame with horizontal sandwich panels and rockwool insulation. 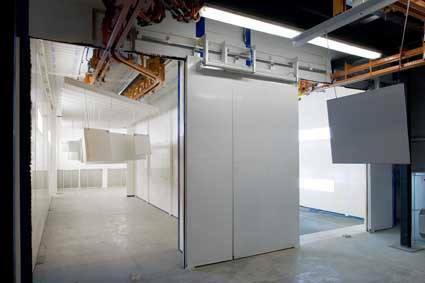 The specialty of Sima is paint booths. 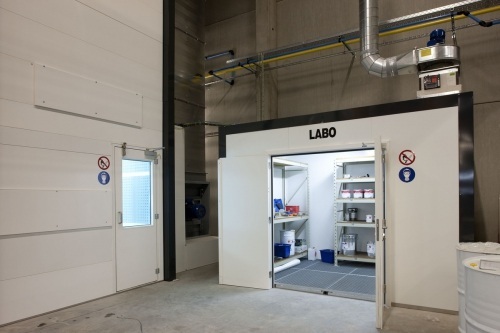 These booths are equipment for the application of products (paint, varnish, etc.) 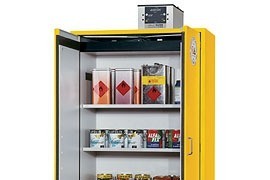 in good conditions of hygiene and safety for operators and staff. 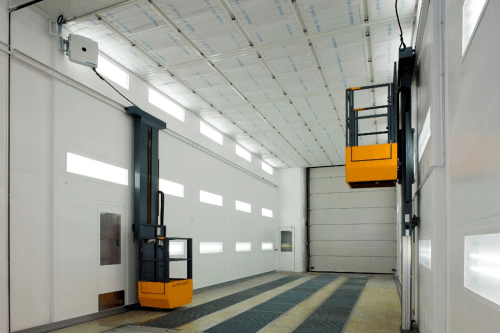 Sima also enables its customers to integrate hydraulically, pneumatically and electrically operated platforms for use in large painting booths. 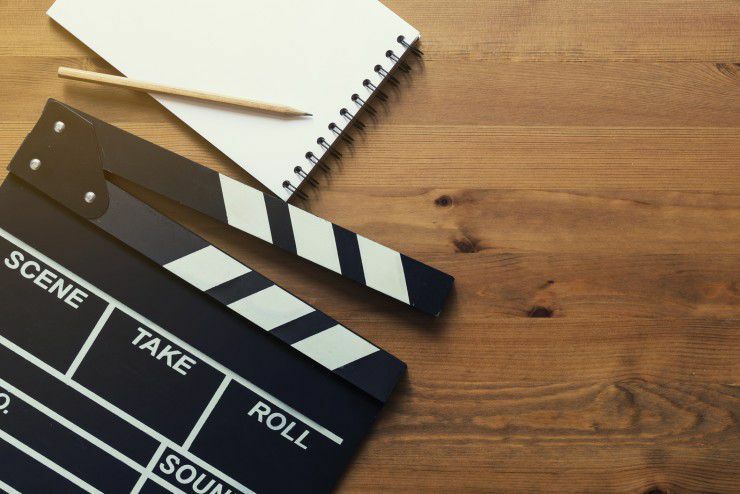 Preparation areas are essential for a good quality of your work. 'spot repair' is an essential part for a good quality of your work. Extraction walls are used to aspirate harmful substances from your working environment. Sima gives you the choice between a spray wall in kit (VIX) or welded (SATIS). 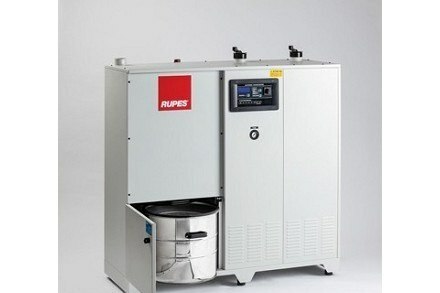 More info about our central dust extraction systems of the high-end RUPES brand. 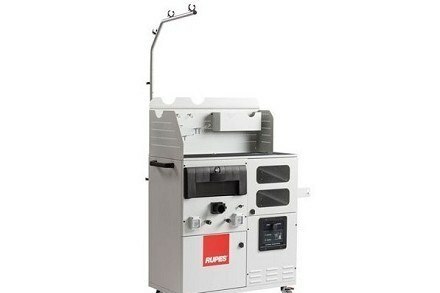 More info about our mobile dust extraction systems of the high-end RUPES brand. 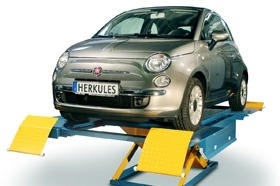 Overview of our Herkules lifting systems for fast, simple and ergonomic work in spray booths and wet paint installations. Find suitable accessoires for your mixing laboratory. Discover our pistol cleaners of the qualitative DRESTER brand. Extraction walls are used to aspirate harmful substances from your working environment. Sima gives you the choice between a spray wall in kit (VIX) or welded (SATIS). Order now. 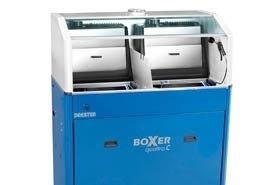 Discover our high-quality dryers of the IRT brand. 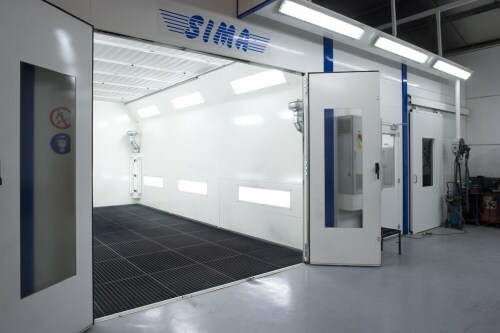 Sima knows how important it is to have your spray booth ready for use 24/7. Therefore, we always have a team ready to help you with technical problems. A malfunction, a gas burner maintenance or another problem? Click on 'read more', fill in the form and clarify very specifically what your problem is. We will take care of it as soon as possible. Sima has since its origin become a specialist in designing, manufacturing and installing installations for surface treatment and wet coating. 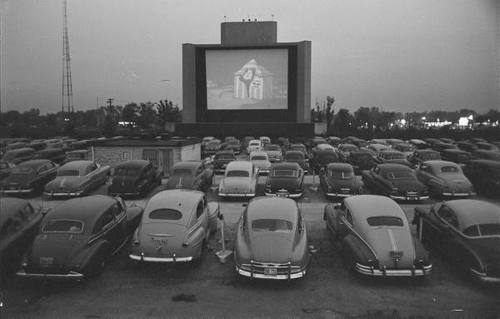 Since 1991, the national and international market underwent a modern approach, driven by the enthusiasm and fortitude of two people with a different background. Saca Group designs, produces and distributes products for paint and surface treatment. Thanks to the smooth internal cooperation, Sima customers acquire a qualitative total solution in one project. Don't want to miss a promotion or product improvements? Register for our newsletter and receive all the latest news about Sima into your mailbox. We will only use your data for this purpose. June has maybe just begun, but we have already taken some time to put a customer in the spotlight. Have a look with us at their new Sima installation. 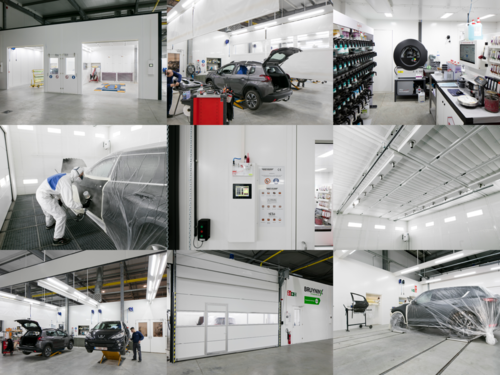 We have launched our new Sima Bodyshop film on Autotechnica last week. As we are rather proud of it, we would like to share our video with you. Register your visit to Autotechnica 2018! Register your visit to Autotechnica and receive a free entrance ticket! New year, new client in the picture. 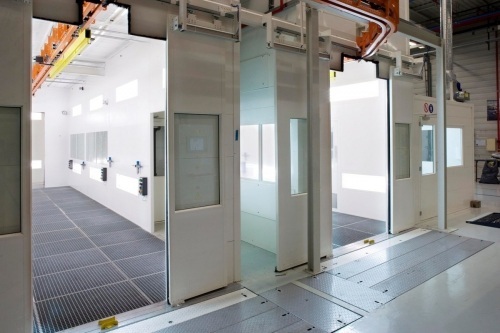 Discover why Carrosserie Kontakt chose the new Sima compact door and LED lighting. Yes, Sima is also taking her first steps into the wonderful world of video. You can contact me with offers and promotions via e-mail. I would like to receive a monthly newsletter with updates and tips. LAG (Bree), satisfied customer of Sima. Sima and Faymonville : a story of success!